As usual, the temple atop the Palani Hill wore a festive look.The hall facing the sanctum sanctorum of Lord Dandayudhapani was packed capacity. The attention of all was centered on one single spot: the sacred doors. They were eagerly waiting for the opening of the doors when the magnificent sight of Lord Muruga would come in full view. Among the many eyes waiting to capture that rare sight of the Lord and preserve it in the heart, a pair belonged to Ardhanari, a devotee who had come all the way from Mysore on foot. While his eyes were eagerly waiting for the darshan of Muruga, his ears heard a wonderful song. As he turned to the source from where the song came, he saw a woman devotee; her serene face exuding an aura of divinity, deeply engrossed in her song. He heard the song with rapt attention till she completed it. She was rendering the song with such devotion and involvement that others too were captivated by it. Ardhanari did not know the meaning of the song but the song created a powerful impact on his mind. Later, the sacred doors to the Lord were opened and Ardhanari feasted his eyes with the majestic sight of Muruga and worshipped. Even when he paved the way for other devotees and gradually moved towards the exit, the song rendered by the woman devotee was reverberating in his ears. There was something, some inherent divine power in that song which attracted him. He kept on repeating the first few words of the song “Vengara Marbil” and was determined to find out what the song was all about. Being at Palani, the abode of Muruga, he could easily find out that the song she rendered was Thiruppugazh. Ardhanari then realized that the songs of Thiruppugazh conveyed a message for him. He decided that from then onwards he would devote his life to hailing the glory of Muruga in the divine verses of Thiruppugazh. He started to learn the songs and understand their meanings and despite the language barrier, he succeeded in his efforts. It was a milestone in the life of Ardhanari that heralded a new life of devotion and knowledge. 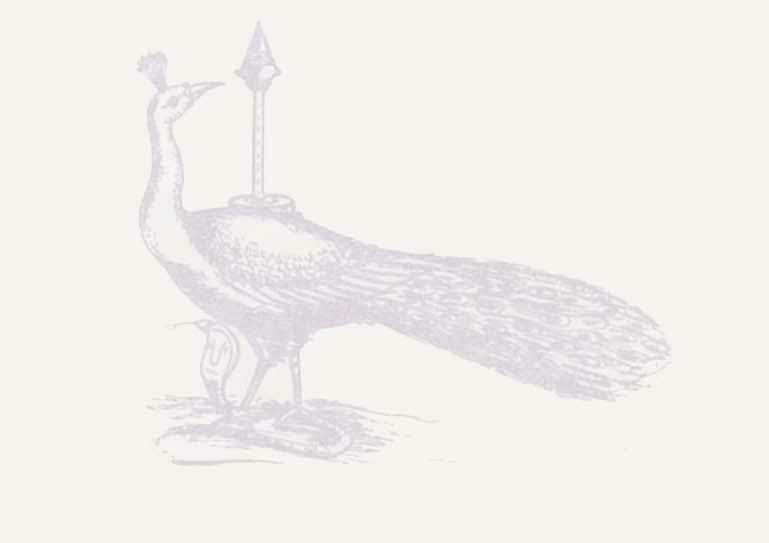 Ardhanari was born on 25th November 1870 to Chidambaram and Lakshmi couple at Bhawani in Erode district. The couple believed that he was born as a result of their continued prayer to Lord Ardhanari at Tiruchengodu and therefore he was named Ardhanari. His family conditions did not permit him the luxury of education. Ardhanari got married and by the help of a relative, got a job as cook in the royal palace of Mysore. Suddenly, the life boat that was sailing smoothly all along faced rough weather. Ardhanari faced one crisis after another. His wife and daughters died and the son departed to a distant place. As if these tragedies were not enough, he was afflicted by a chronic stomach ailment. When all the doors were closed, someone suggested that he should knock at the door of Palani Andavar. It was this suggestion which brought Ardhanari to Palani and wait before the doors leading to the shrine of Sri Dandayuthapani. As he came out of the temple, the Thiruppugazh song recited by the woman devotee was still ringing in his ears. He decided to dedicate himself fully for the worship of Lord Muruga by means of Thiruppugazh. Soon the disease disappeared by the grace of Lord Dandapani. He started learning Tamil and slowly grasped the meaning of Thiruppugazh songs. He used to go to distant places and bring holy waters for anointment (abhisheka) of Lord Palani Andavar. Once, sitting alone at a quiet spot in the Mutt he was reciting Thiruppugazh to his heart’s content. At the end of the song, as he opened his eyes, he could not believe his eyes; Maharshi was standing before him, listening appreciatively. As days passed by, their relation grew intimate. “These songs can be found in the book published by Vadakkupattu Subramaniam,” replied Ardhanari. It was a great moment. Two great personalities, Sri Chengalvarayan and Sri Sachidananda Swamigal who had dedicated their lives to Thiruppugazh were meeting each other. While the former collected and published Arunagirinathar’s works, the latter highlighted its glory to all corners. It was the beginning of a long and enduring relationship. Later, Swamigal left for Banares and Himalayas. 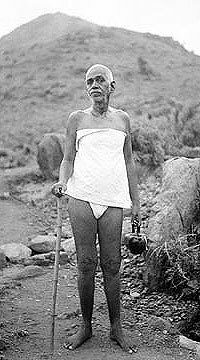 There, a great saint saw Swamigal and addressed him as Sachidananda. This saint had given the formal diksha (initiation to sainthood) to Ardhanari Swamigal who had now come to be known as Sachidananda Swamigal. Once, a tired and hungry Sachidananda Swamigal was resting under the shade of a tree. As he recited the Thiruppugazh song, ‘Vanchankonden’, the monkeys sitting above were moved by the power of the song. They shook the branches in an effort to reach the fruits to Swamigal. 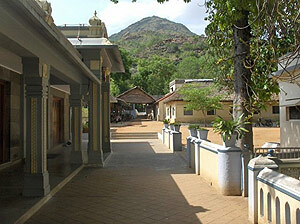 In his quest for spiritual enlightenment, Sri Sachidananda Swamigal stayed at Ramanasramam. Though he had been initiated to sainthood, he felt he still needed some clear advice (upadesa) that would guide him: “Go this way.” He mentally adopted Sri Ramana Maharshi as his manaseeka guru and looked for some advice from Maharshi. 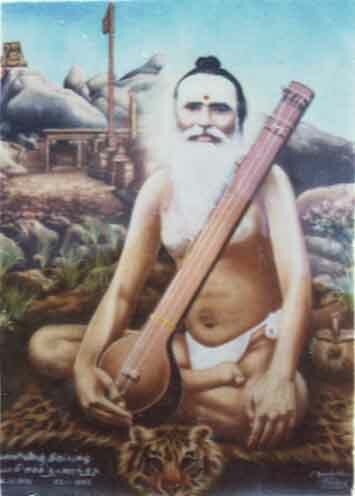 Sri Sachidananda Swamigal knew that normally Sri Ramana Maharshi did not give any specific upadesa (advice) because according to him Self alone is supreme and Self-realisation should come not necessarily from a guru and not from any external source but from within, through self-enquiry and contemplation. One day, addressing Sri Sachidananda Swamigal, Sri Ramana Maharshi said: “Go and continue your search for truth and you would find it.” Obeying the command of Maharshi, Swamigal left Tiruvannamalai and was proceeding ahead without any particular destination in mind. Then, he met Sri Seshadri Swamigal, an erudite scholar who had mastered Vedanta, Upanishads, Brahma Sutra, Veda Nyaya and Vyakarana. 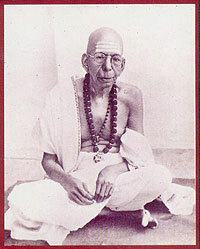 Sri Seshadri Swamigal was associating closely with Sri Ramana Maharshi. Both of them were almost in the same wavelength on spiritual matters. On seeing Sri Sachidananda Swamigal, SriSeshadri Swamigal queried: “Is not Thiruppugazh your mantra?” Swamigal was surprised. Though he was aware of the greatness of Sri Seshadri Swamigal, there was no occasion for them to meet. “How then he knew about my Thiruppugazh connection?” Sri Sachidananda Swamigal wondered. Sri Seshadri Swamigal then cited a stanza from ‘Sivamanasa Puja’ composed by Adi Sankara and explained its meaning in detail: “The Supreme Consciousness, the Atman which remains independent of the mind and body is the reflection of Brahman, the ultimate reality." Sri Sachidananda Swamigal felt that the advice of a Guru that he was yearning for so long had now come in this form. He waited patiently for Seshadri Swamigal to finish. "The Brahman is all pervasive, who resides both within me and in all." Sri Seshadri Swamigal concluded and enquired whether there is any song in Thiruppugazh which conveys this Advaita philosophy of Adi Sankara. Sri Sachidananda Swamigal responded by quoting few lines from the song 'Amala Vayu' (“Enadhi Yanum Veraki Evarum Yadhum Yanakum Idaya Bhavananeetham…") "I do not remain separate from you. That which resides in me is the same power which operates in all others." Sachidananda Swamigal was elated at receiving this precious advice.This was a great moment; a turning point in his life. He now saw clearly what the destination of his life was and how to go about in reaching that destination.